Make the intimate, award-winning Conover Commons Cottages community your home! Sophisticated, custom design details reflect the finest in craftsmanship & Built Green quality throughout. Built for the discriminating buyer, enjoy charming, built-ins and extensive trim detail, solid wood flooring, custom painted cabinetry, ensuite master on main, plus additional bedroom and bath upstairs all warmed by a cozy natural gas fireplace. 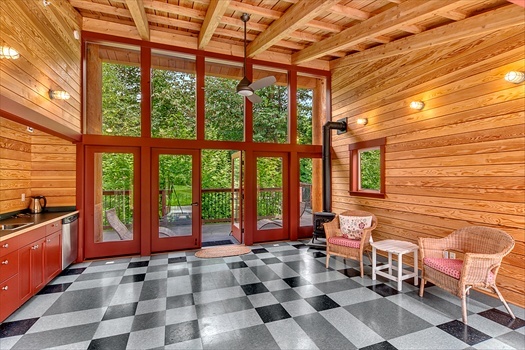 Situated in acres of private woodland, the home backs directly onto the woodland preserve. 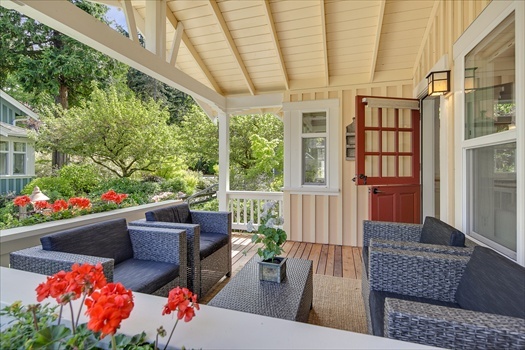 A room-sized covered front porch and front dutch door welcomes you home and allows for three-season outdoor living. 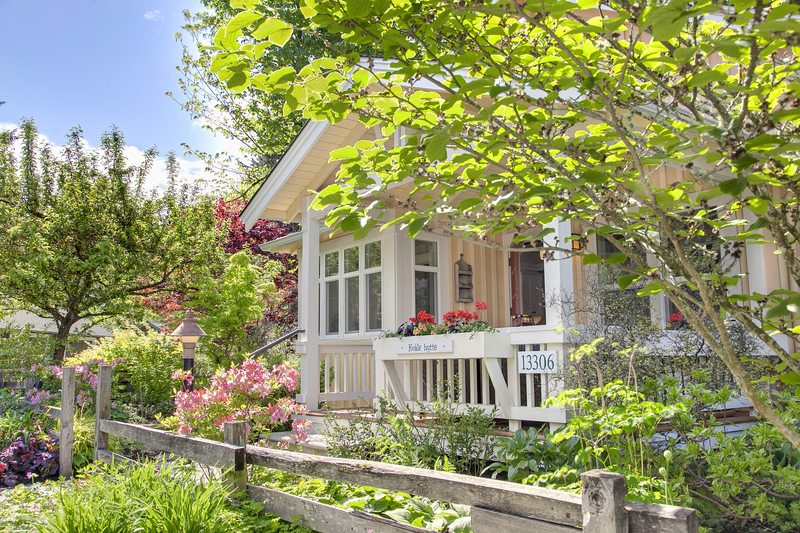 A collectors garden surrounds the cottage and Commons area gardens provide year-round interest. Commons building and exercise room provide additional living space for parties, potlucks, meetings, book clubs or whatever! First time on the market, Kvale Hytte is offered by its original owner. 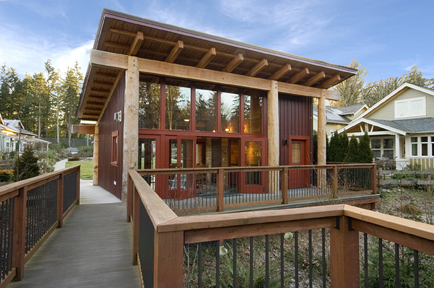 The home & community was developed and constructed in 2004 by The Cottage Company. Designed by Ross Chapin Architects. Main Floor - Light-filled, vaulted open floor plan living, dining space, kitchen with freestanding island, master bedroom, full bath and laundry. Main floor ensuite master bedroom overlooks the peaceful woodland. Second Floor - Second vaulted ceiling enclosed bedroom with 3/4 bath. Custom built in closet for closet storage or media. Minutes to Microsoft, Google, DT Kirkland, Redmond & Bellevue and eastside Seattle's major employment centers. Bike lane on 132nd Ave NE for easy bike commuting. Bus stop at community entry takes you to DT Seattle, DT Kirkland/Redmond/Bellevue, or University of Washington. 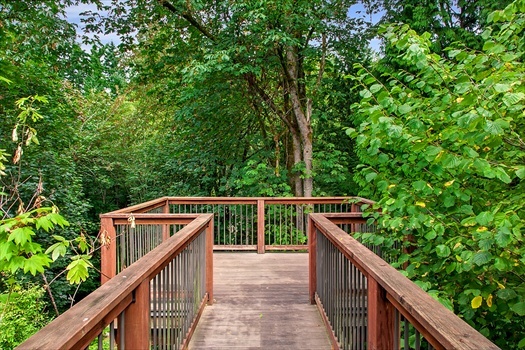 Links to City of Redmond parks trail system on east edge of property. Built Green 3-Star Certified for low operating costs. Commons building and separate Commons exercise space provide plenty of multi-function space for owners' private functions, potlucks or personal projects. An overlook viewing deck, just beyond the Commons building, provides a viewing platform into the hushed woodland. Conover Commons was awarded the 2009 AIA National Housing Award by the American Institute of Architects. Conover Commons received a Grand and Merit Award in 2009 given by the National Association of Home Builders/Builder Magazine. Nationally published in a variety of media, Conover Commons was prominently featured in the recent book, 'Pocket Neighborhoods - Creating Small Scale Community in a Large Scale World'. Charming Kvale Hytte Cottage is nestled in a hushed woodland and surrounded by a fragrant collectors garden. 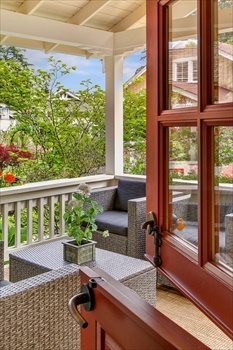 A welcoming front dutch door opens to a covered porch and outdoor room. Planted flower boxes surround the porch rail...just the right height for perching to survey the lush garden courtyard. 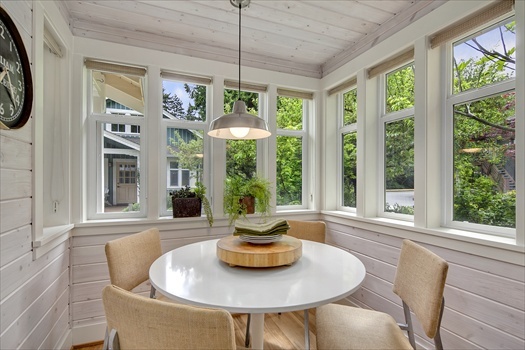 The room-sized covered front porch provides three-season living and is just the right spot for dining or relaxing! 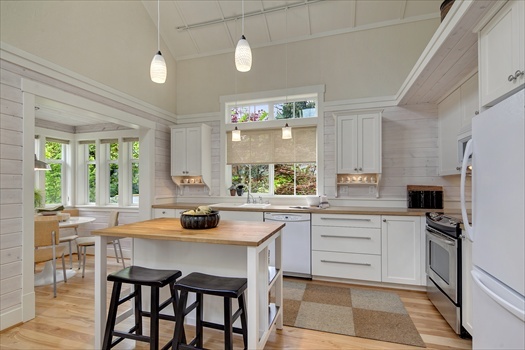 The open floor plan combines living, kitchen and dining under the light filled vaulted ceiling spaces. 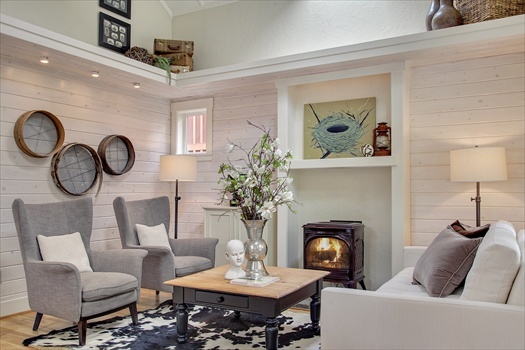 A gracious living room is warmed by a natural gas fireplace, the home's primary heat source. 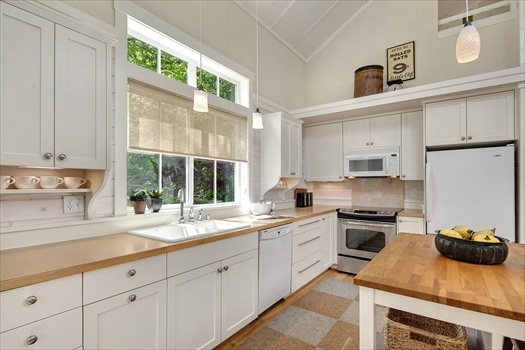 The light-filled kitchen provides ample workspace for the most serious of cooks! A cozy dining room, enriched by white washed paneled ceilings and walls overlooks the fragrant gardens. 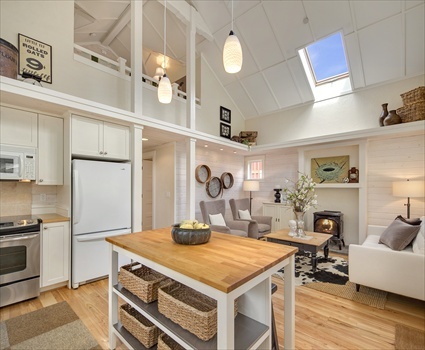 The richly detailed, vaulted ceiling, south facing spaces are filled with natural light. The main floor ensuite master bedroom overlooks the permanently preserved woodland and opens to a private deck and patio. 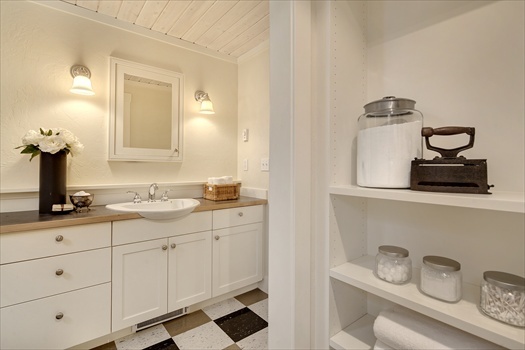 The main floor full bath includes the laundry and allows for single level living. 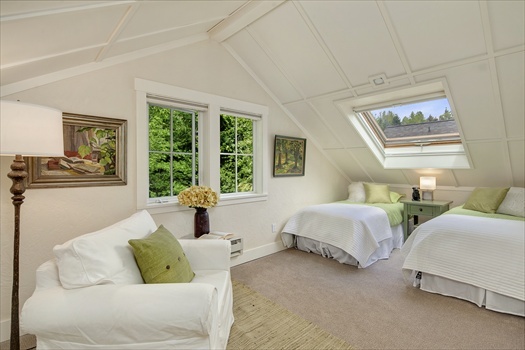 The upstairs bedroom is tucked under vaulted ceilings includes an openable Velux skylight and custom closet cabinetry. 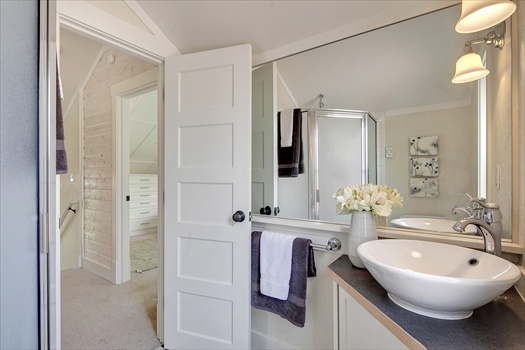 A private upstairs bath serves the second bedroom. 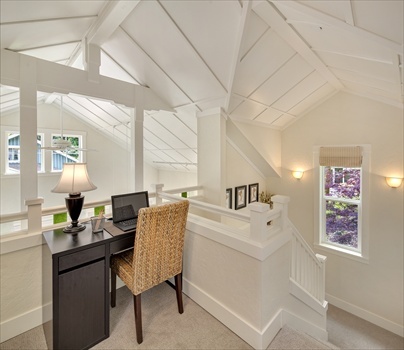 A cozy office nook overlooks the vaulted living spaces below. The peaceful, private rear deck opens from the master bedroom and overlooks the preserved woodland. 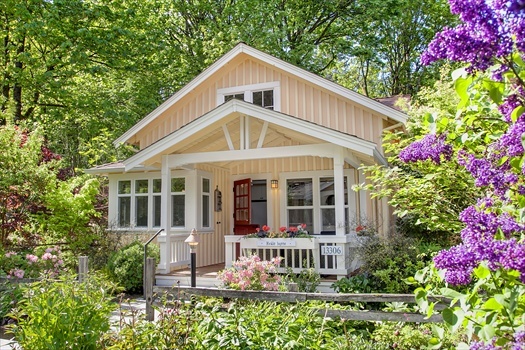 In a Cottage Company tradition, owners name their homes. This home is named 'Kvale hytte', honoring the owner's Norwegian heritage. What would you name your home? 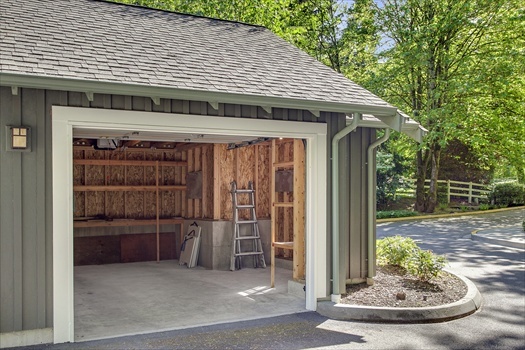 An extra-large single car garage with plenty of room for storage, a workbench plus your automobile! Easy to accomodate electric car charging. Enjoy the peaceful woodland from the architecturally stunning Commons building and viewing platform, overlooking the woodland. Photovoltaic solar panels provide electricity for the Commons building. 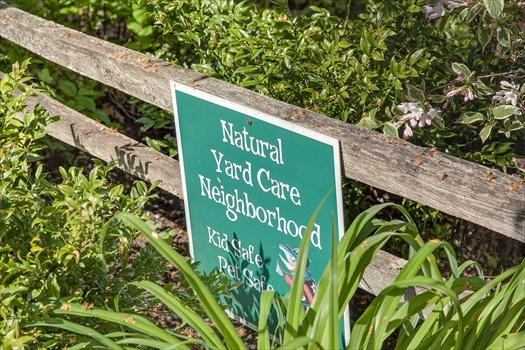 Conover Commons is a Natural Yard Care Neighborhood and embraces organic gardening methods as a community standard. The Commons building is just the spot for owner parties, potlucks or personal projects. A simple calendar sign up sheet is all that's needed to reserve your spot. 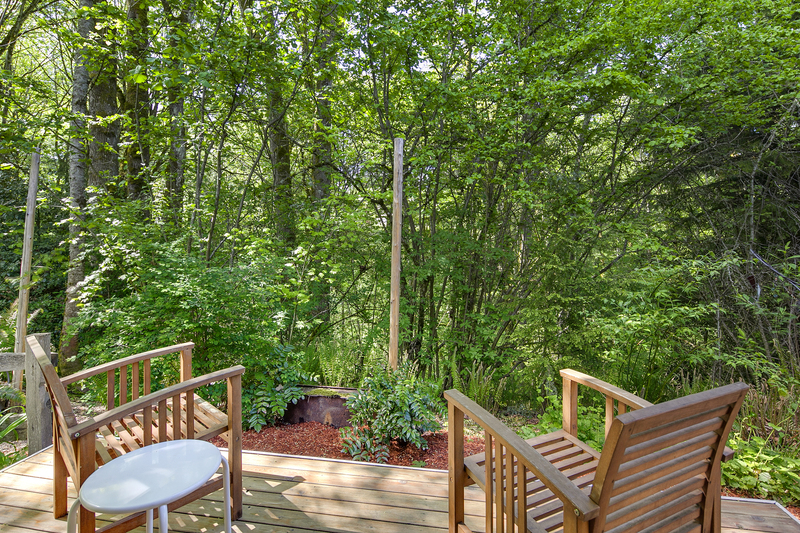 A viewing platform deck allows home owners to enjoy the nearly 5-acre permanently preserved hushed woodland. Accessed just beyond the Commons building. 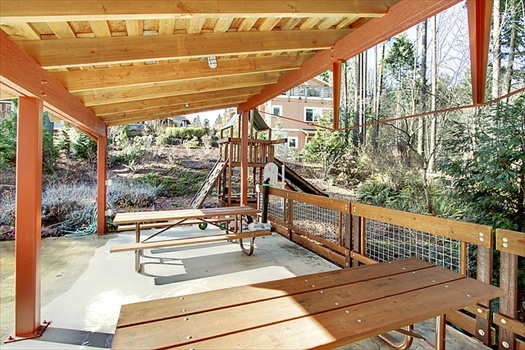 At the east end of the nearly 10 acre property, the community enjoys a picnic shelter and childrens play area. Also, the community links to Redmond's hike/bike trail from this point. Explore!